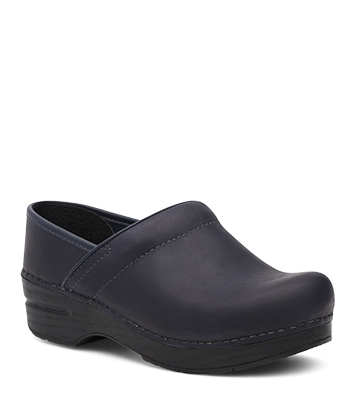 The Dansko Blueberry Oiled from the Professional collection. To clean, rub light scuffs with finger tips. Remove stubborn dirt with damp cloth. To maintain, use Dansko Oiled Leather Restorer. To weatherproof, use Dansko Beeswax Conditioner.